Once, the West’s public lands were valued primarily for the timber, minerals and fossil fuels they held, which were extracted and then sold around the world. In the 1970s, more than two dozen Western counties relied on timber for at least a fifth of their revenue, while energy companies expanded onto public lands for coal and natural gas. Small communities swelled with loggers and miners and the businesses that supported them, providing an economy that helped preserve the West’s rural feel. Today, though, natural resource economies are waning, and many of those towns are struggling. 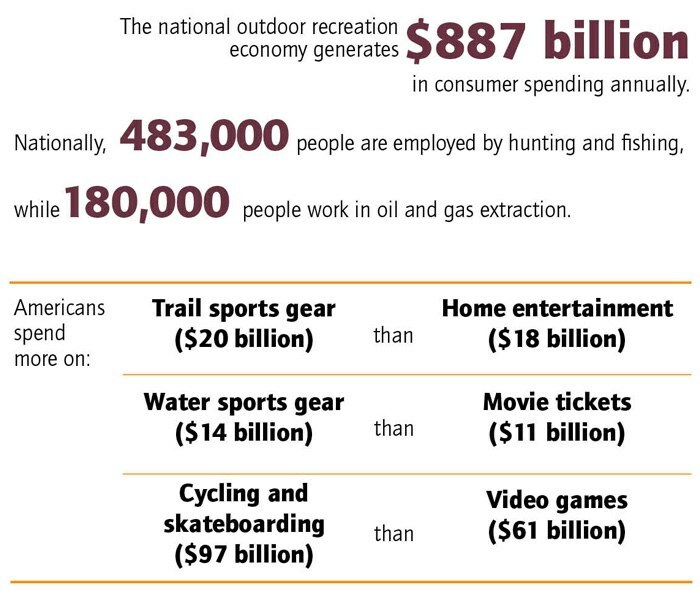 Public lands are increasingly used for fun and leisure, and the West has joined the Northeast as the two most urbanized regions in the country, according to U.S. Census data analyzed by Headwaters Economics. 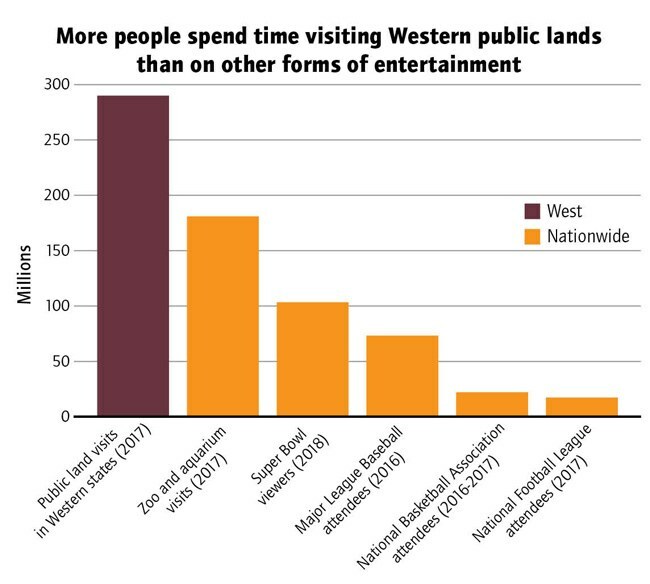 More than 290 million people visited Western public lands in 2017. 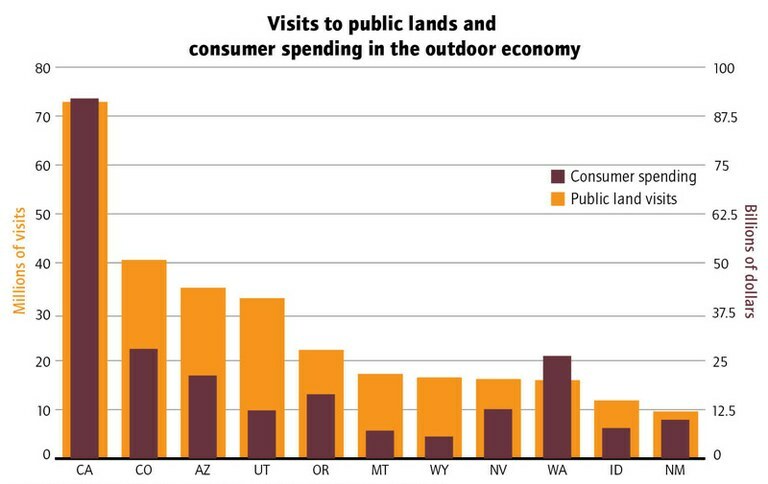 Despite increasing visits to public lands and the billions of dollars in consumer spending on outdoor recreation that often takes place there, the percent of the federal budget allocated to manage these places has shrunk.